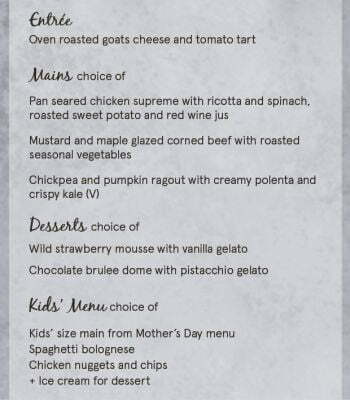 TREAT MUM THIS MOTHER’S DAY WITH A 3 COURSE LUNCH IN THE GARDEN! To book, call Club reception 8752 2000. Bookings are essential. Pre-payment required.